Opinion piece by Billy Mills – Biology Week intern at the Royal Society of Biology. While helping create the UK Mammal Poll, I noticed that many people seem to be unaware of the diversity of mammals that live in our seas. Twenty-five species of cetacean (whales, dolphins and porpoises) inhabit the waters in and around the British Isles, as do seven pinniped species (seals). Admittedly these figures include vagrants, but I’m sure you’ll agree that they make impressive reading nonetheless. The bottlenose dolphin was chosen to fly the flag for this group of mammals, and what a fantastic standard bearer it is. These creatures encompass nearly everything that there is to love about marine mammals. They have torpedo-shaped bodies that allow them to move quickly and gracefully though the water. They are also curious and playful by nature. Famously friendly to humans, bottlenose dolphins are frequently receptive to physical contact with divers and are often observed riding the bow waves of ships. 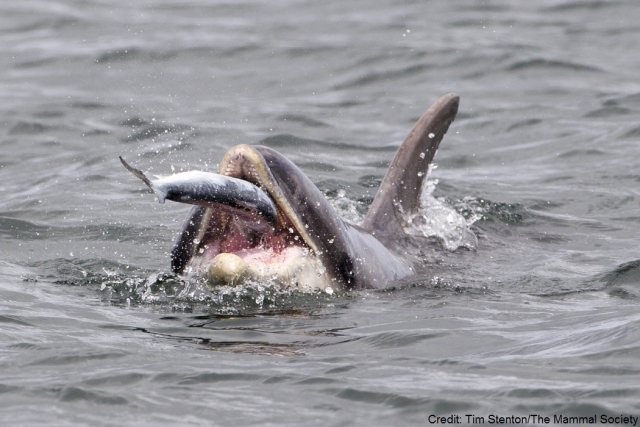 There are several hundred resident bottlenose dolphins in UK waters, and the most abundant populations are located in Cardigan Bay and in the Moray Firth. Thankfully both of these crucial bottlenose dolphin sites have been designated as Special Areas of Conservation (SACs) under the EU Habitats Directive – the cornerstone of the EU’s biodiversity policy. Despite the requirements of EU law, not all marine mammals in the UK have been offered sufficient protection. 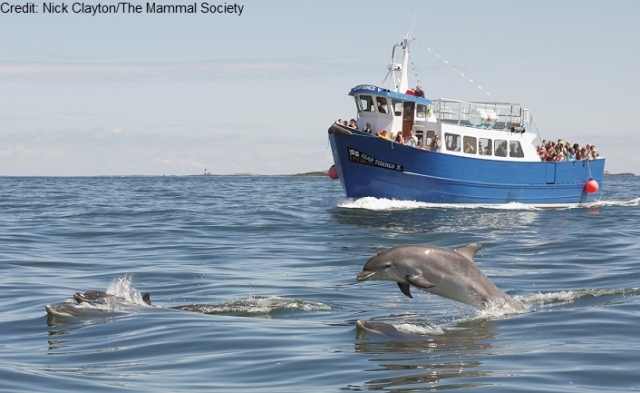 Late last month the European Commission referred the UK to the Court of Justice of the EU for failing to protect the harbour porpoise, a marine mammal regularly spotted in UK waters and not too dissimilar to the bottlenose dolphin. The UK has not created the required SACs for this mammal. This comes after biologists voiced concerns about increasing numbers of harbour porpoises starving to death in UK waters. The case of the harbour porpoise is illustrative of a broader point – in the UK we offer better protection to our marine life in overseas territories than at home. This year twenty-three new Marine Conservation Zones (MCZs) were announced, however they were quickly branded as ‘paper parks‘ by experts. That is to say that they do little to safeguard the wildlife residing within them, existing in name alone and offering the illusion of protection. This criticism stems from the fact that certain disruptive activities, such as trawling and dredging, can still occur within these protected areas. Meanwhile, the UK offers huge levels of protection to (among others) the Pitcairn Islands. A 840,000 sq km protected area was designated in which commercial fishing is banned (excepting ‘sustainable’ local fishing) – this is also the case for half of the 445,390 sq km Ascension Island protected area. Activities such as oil drilling are also prohibited. The bottlenose dolphin represents a collection of underappreciated and, for many people, unknown animals. 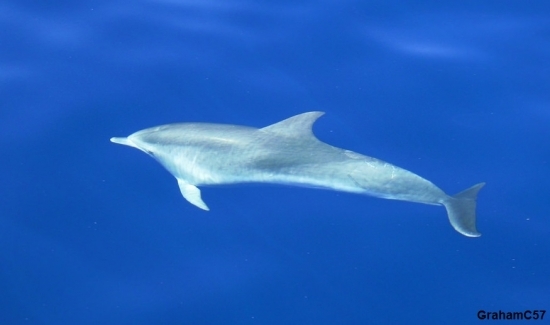 I voted for the bottlenose dolphin in the hope that, if crowned the UK’s favourite mammal, some much needed public attention will be directed towards the diversity of marine mammals in UK waters. While our overseas marine conservation is admirable, the marine life we have at home is just as worthy of protection.